Sick of wasting money on sending snacks in zip lock bags, how about a reusable one? 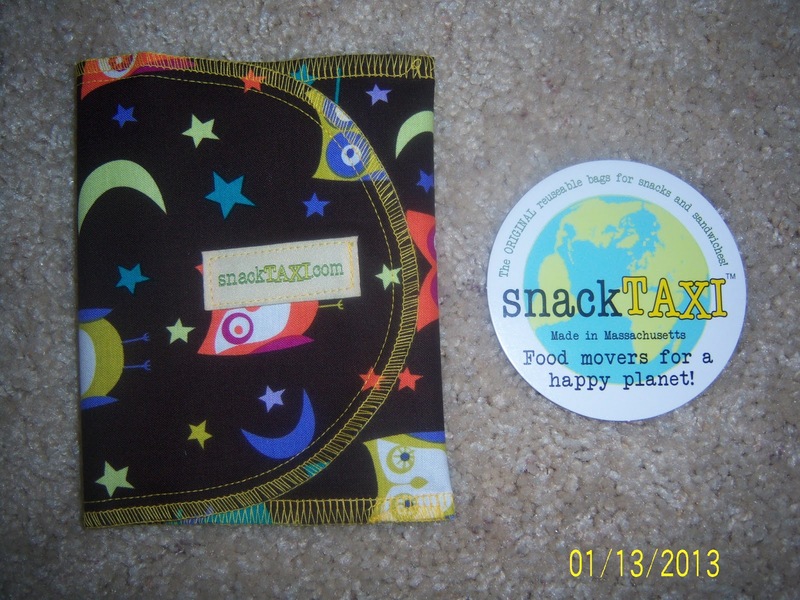 SnackTaxi is a place which sells all kinds of great school friendly reusable items. I received a cute little snack bag which I can place all my kids favorite healthy snacks for school. I love the design I got its a nice black background with owls how cute! SnackTaxi has lots of reusable products with fun designs that kids will be happy to have for lunch and snacks and it's great also for the working parents it's a great way to say "Hey that's mine" with the great designs you will find your food right away. SnackTaxi has a produce bag which keeps bananas yellow longer, helps apples stay fresh and more. Along with the produce bag they also make a bread bag which keeps your bread fresh just think of all the bread that you end up feeding to the birds now no more waste. I like the idea of the SnackTaxi because green is a great way to be it saves you money you never realize how much you spent. You can buy your own SnackTaxi here. Want to win the one I have just fill out the rafflecopter below. Contest ends 2/13/13. Open to U.S. residents only. Disclosure: I was given a SnackTaxi to help with my review. All opinions are 100% mine. The frog chow one is too cute! I like the frog chow! I like the bikes - snack pack! I like the Groovy Guitar snack pack. I like the Global Women's Water Initiative snack-sack. i like the cassette tapes, tooo cuyte! I like the Calaveras one. Awesomeness! My favorite is the up in the air.